Ronald "Ron" Lee Ball, Sr., 73, passed away on Sunday, October 14, 2018, at Simon Cancer Center, Indiana University Hospital, Indianapolis, after a long battle with Multiple Myeloma. Ron was born on March 9, 1945, in Marion, Indiana, to the late Chester and Orveta "Sally" Ball. 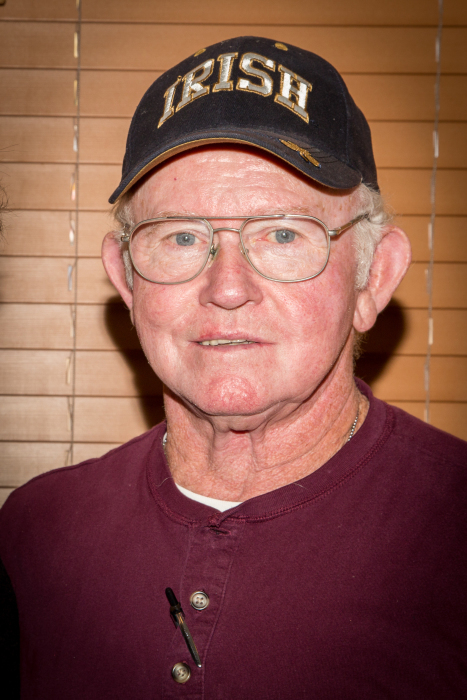 A lifelong resident of Marion, he graduated from Van Buren High School in 1963. He worked various positions at RCA / Thompson Consumer Electronics and retired as a tool and die maker after nearly 40 years. He was also a member of IBEW. On April 10, 1965, Ron married the love of his life, Patricia Eldridge. They celebrated 53 years of marriage this year and Patricia will cherish every memory they shared. Ron enjoyed drag racing, going to car shows, working on tractors and cars in his shop, and working outdoors. He loved to travel and was able to visit all 50 states. He would buy badges for his walking stick at each national park he visited and would also collect pins and decals from the various races and car shows he attended. He attended and enjoyed fellowship at Grace Community Church. Ron also enjoyed hanging out with his friends on the "liars bench" at his shop. He loved to spoil his pets, Butler, Puddy, and Oscar, as well as his son's dogs, Moose and Bailey. Ron never met a stranger. He could talk to anyone about anything, and you would feel as if you were old friends after meeting him for the first time. Ron is survived by his wife, Patricia, Marion; three sons, Ronald (Susan) Ball, Jr., Zionsville, Anthony (Ana) Ball, Glendale, CA, and Andrew Ball, Anchorage, AK; five grandchildren, Blake Robbins, Haley Babb, Liam Ball, Andrew Ball, II, and Carter Ball; and brother, Jack (Gail) Ball, Marion. He was preceded in death by his parents, Chester and Sally Ball; two sisters, Patty Ball and Bonnie Siegler; and brother, Michael Ball. Arrangements for Ron have been entrusted to the College Park Chapel of Armes-Hunt Funeral Home and Cremation Services, 4601 S. Western Ave., Marion, Indiana 46953, where a visitation will be held on Friday, October 19, 2018, from 3:00 - 7:00 p.m., and an hour before the funeral. A funeral service honoring Ron's life will be held on Saturday, October 20, 2018, at 1:00 p.m., with Dr. Tom Mansbarger officiating. Burial will then take place at Gardens of Memory, Marion, Indiana. In lieu of flowers, the family requests that donations be made to support myeloma research at the IU Simon Cancer Center. Please make gifts payable to IU Foundation/Multiple Myeloma Research Fund. Please indicate “In memory of Ronald Ball” on your gift. Mail to: IU Simon Cancer Center, PO Box 7072, Indianapolis, IN 46207. Gifts can also be made online at http://www.cancer.iu.edu/giving/index.shtml. Click on the “Give Now” button and search for the “Multiple Myeloma Research Fund”. Online memories and condolences may be shared at www.armeshuntfuneralhome.com. The family would also like to give a special thank you to Dr. Bendaly and Dr. Abonour as well as their respective staffs.